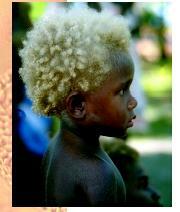 A young native of the Solomon Islands. A slight variation in the activity of an enzyme for pigment synthesis may result in phenotypic variation. sequence analysis of a genome will hasten one's understanding of the many genes responsible for a trait, the identification of environmental factors will undoubtedly be slower because understanding these factors requires careful and controlled experimentation and observation. Such conditions are difficult to study, particularly in humans. 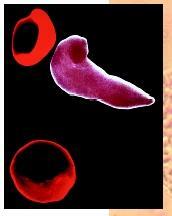 A scanning electron micrograph showing healthy, round red blood cells and a diseased sickle-shaped cell. 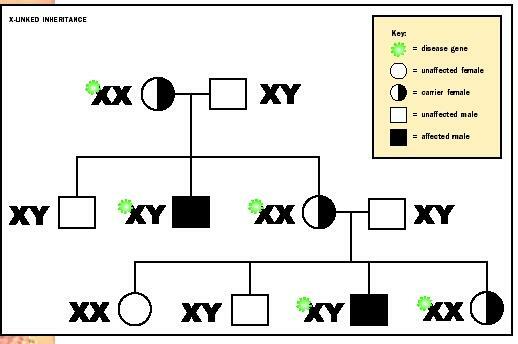 Online Mendelian Inheritance in Man, OMIM™. McKusick-Nathans Institute for Genetic Medicine, Johns Hopkins University and National Center for Biotechnology Information, National Library of Medicine, 2000. <http://www.ncbi.nim.nih.gov/omim/> . Hi i was wondering if you answer my question please, I was wondering why if a mutation is present in every cell in the body why would it only affect specific cells or tissues? eg condition bracydactyl only affects the hands? ?